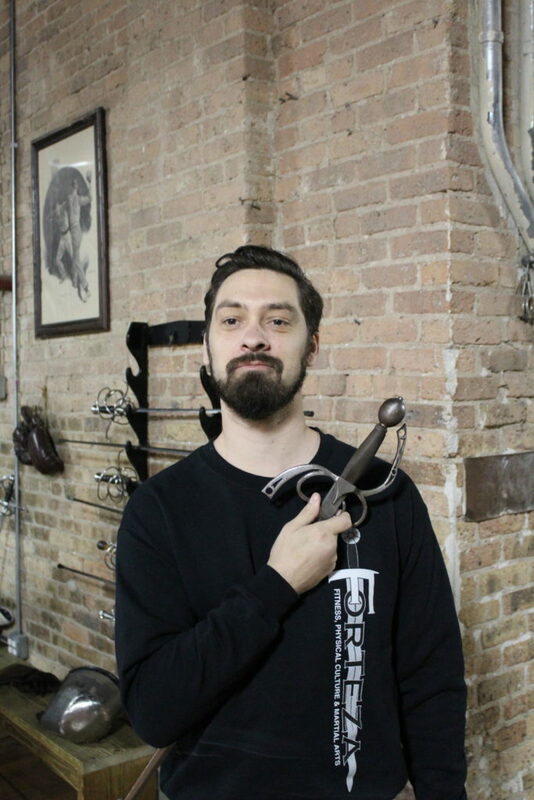 Robert has been swinging swordlike objects around for the past 18 years, first, with various medieval reconstruction groups, then in 2006 started a HEMA study group looking at the backsword/broadsword method of the Elizabethan Englishman George Silver. 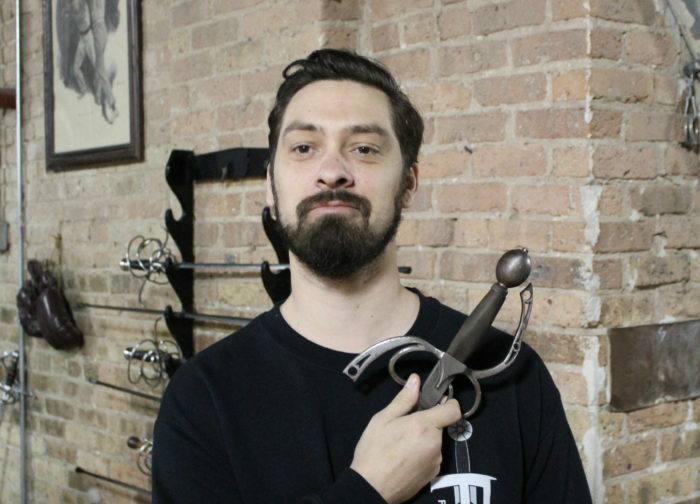 In 2009 he joined the CSG (Chicago Swordplay Guild) picking up the Italian rapier, to see what ol’ George found so palatable. Not looking back since, Robert has explored the many evolutions and innovations of the Italian art in the 16th and 17th centuries as well as its adaptation in the German arts by Joachim Meyer. His interest in Meyer led him back to Italy and the Bolognese tradition of the 15th and 16th centuries, a robust fighting art focused on the “side sword” a one-handed, cut & thrust weapon not dissimilar to that taught by Silver, and yet the direct precursor to the Italian rapier! All of his interests having come full-circle in one discipline, Rob is particularly pleased to be able to offer students a chance to study this elegant fighting art. Robert has teamed up with Roger Norling in bringing the various forms of Meyer’s work to the HEMA mainstream, at events like the Western Martial Arts Workshop, the MFFG Symposium and in 2016 at the Hallebardiers’ Seminar in Bruges, Belgium, and to have taught Bolognese fencing at a number of events in the US and abroad.